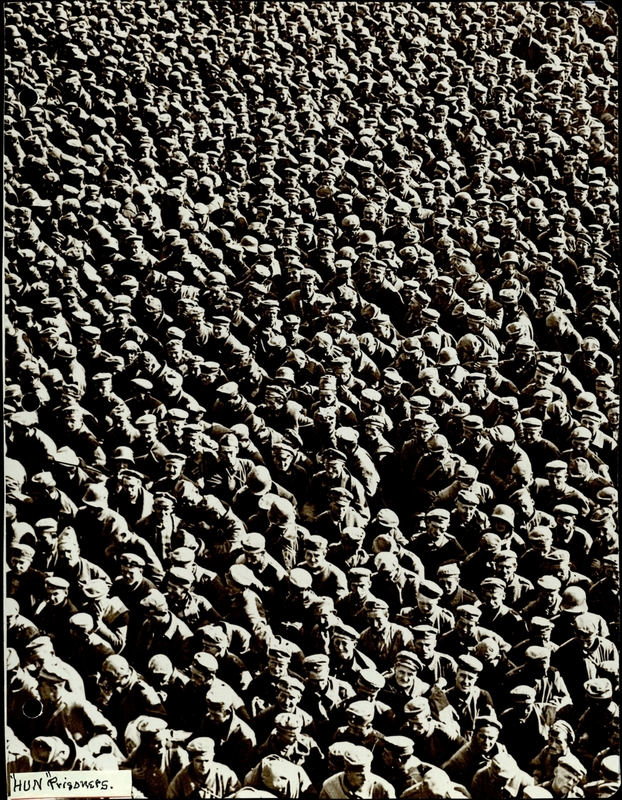 Photograph of a crowd of German prisoners of war during World War I.
Handwritten caption on opposite page: German (Boehe) prisoners of war (by British Army). Date based on likely year of obtainment by Dr. George W. Norris while stationed in France, 1917-1918. “"Hun" prisoners,” The College of Physicians of Philadelphia Digital Library, accessed April 23, 2019, https://www.cppdigitallibrary.org/items/show/1532.